Sutherland, somewhere west of Lairg, shortly before a spring dawn, nearing the end of a through-the-night drive for reasons that now escape me, driving on something perilously close to automatic pilot, trying to stay awake. Suddenly there was a pair of eyes in the headlights unlike anything I’d seen all night, and just unlike anything I’d seen, anywhere, ever. They burned from a fixed point in the middle of the road, like green cat’s eyes, I thought to myself, and at that moment I realised what I was looking at. As the car slowed then stopped about twenty yards away, the headlights illuminated my first wildcat. “It had crouched, and gave the impression of purposefully staring out the headlights, an absurd notion, I know, but Scottish wildcats attract absurd notions and they are almost as misunderstood as wolves. With its head low to the ground, and its ears flat and pointed outwards from the edge of a broad skull, its back arching steeply behind its head, it looked ready for anything, packed with possibilities. I switched the headlights off. The wildcat switched its green eyes off. I waited. It waited. I switched the engine off, wound down the window. The chill, pre-dawn air rushed into the car. I watched and I listened. The sound is still in my head, thirty years after the event. So make that forty years. I was revisiting the article because this past winter has witnessed the largest-ever survey of Scottish wildcats, and it will end about now. It is part of a six-year plan which began in 2013, aimed at halting the drastic decline of the species. So far, it has not covered itself in glory. 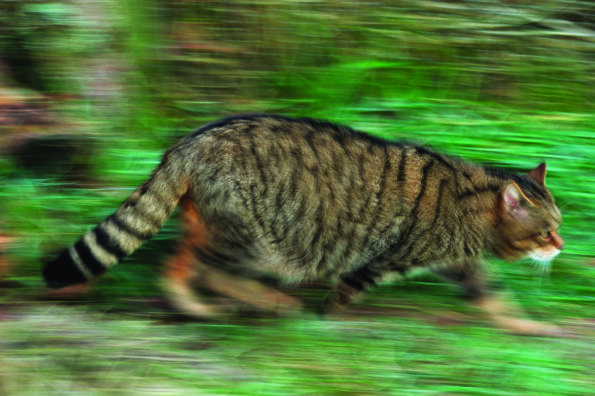 The project is called Scottish Wildcat Action and more than twenty organisations are involved. The Scottish Government and the Heritage Lottery Fund support the project. I worried about all that from the start. Historically, some of these organisations never agree about anything, and getting the bureaucrats of more than twenty organisations to act with one voice is a less plausible prospect than, say, herding cats. 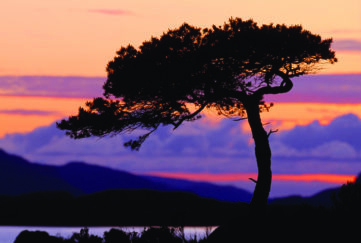 The survey had been concentrating on six areas, five of which are in the north-east Highlands, and one in Morvern. This strikes me as crazy, not least because of the half-a-dozen wildcats I have seen in my life only one was in the north-east and the others were in Sutherland, Knoydart, or the hills around Balquhidder. If we don’t survey the animal’s entire historical range, what is the point? Are we saying there are no wildcats in Rannoch, the Black Mount, Glen Orchy? 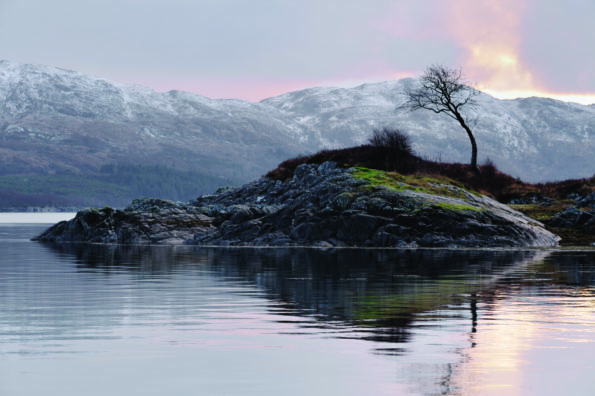 None in the Loch Lomond and the Trossachs National Park? Or are we just guessing there are none? 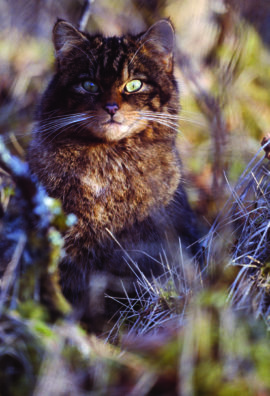 But let’s assume for the sake of argument that what remains of the Scottish wildcat population has two strongholds, for want of a better word (for nothing about the plight of the wildcat is strong as things stand), and that one is in the North-east Highlands and the other is on the western seaboard at Ardnamurchan and Morvern. And this is where what passes for wildcat conservation gets murkier still. Ardnamurchan is the fiefdom of the Scottish Wildcat Haven organisation. 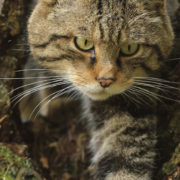 Neither Scottish Wildcat Action nor Scottish Wildcat Haven makes any mention of the existence of the other in their otherwise comprehensive websites. They are establishment and anti-establishment, and it seems to me as an independent witness with no foot in either camp, that one telling obstacle in the path of reviving the Highland-wide fortunes of the Scottish wildcat is their mutual distrust. If we are really serious about restoring the wildcat to its historic range, and if there are significant populations in the North-east Highlands and the West Highlands, shouldn’t we at least be speaking with one voice? And wouldn’t it make sense to concentrate our efforts on linking the two populations by reintroductions into the Central Highlands? That very idea highlights two problems of its own. One is that we simply don’t know if there are significant populations of Scottish wildcats anywhere. Wildcat Haven suggests there could be as few as thirty-five pure bred Scottish wildcats. Other upper estimates, all of them completely unofficial, are between three hundred and four hundred. 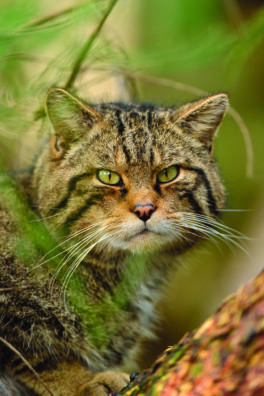 If thirty-five is right, then the pure bred Scottish wildcat is doomed, and if three hundred is right but they are only in widely scattered pockets, then the pure-bred Scottish wildcat is still in deep trouble. But the crucial words in all this are “pure-bred”, and if conservation was to drop them from its ideology (and this illuminates the second problem), then the prospects suddenly become very different. What if we were to decide that a viable population of pure-bred Scottish wildcats is simply impractical, and may not even be ecologically desirable? And what if we simply abandon that ambition in favour of a viable population of wildcats in Scotland, which is a very different thing? But I do wonder about the obsession with 100 per cent pure Scottish wildcats. If we applied that yardstick to the race of people we call Scots, there would be no-one left, for we have been hybridising forever. To that notion, should be added another, that reintroductions make good conservation sense. As things stand, the Scottish wildcat is an island race of the European wildcat which is widespread through France and Germany and much of eastern Europe. 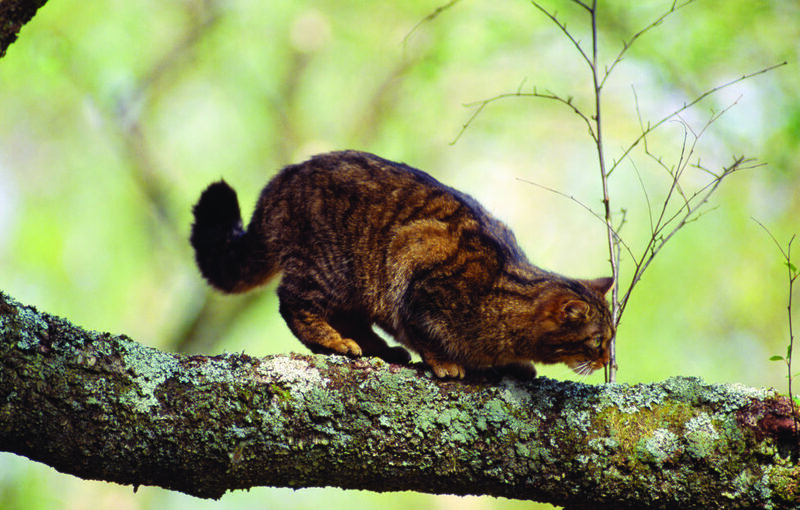 It is, to all intents and purposes, the same animal, but it is noticeable that nowhere in the literature of either of the Scottish wildcat camps is the idea of reintroduction mentioned, because reintroduction from mainland Europe would end the pure-bred race, and Scotland’s wildcat population would evolve slowly into something else. That something else, incidentally, would be practically identical, and crucially, it would fill the same ecological niche. So, does it matter how pure-bred it is? 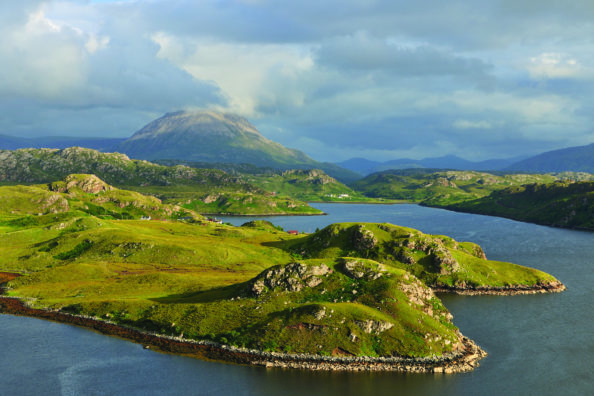 Ardnamurchan – stronghold or battlefield? Consider beavers for a moment. Our historical beaver population evolved in exactly the same way as our wildcat population. Once our land bridge with Europe was overwhelmed by the sea, they became an island race of beavers by default. More recently, we had 400 years of beaver extinction. But we have no idea whether the pure-bred island beavers that resulted from several thousand years of isolation were in any way different from the beavers of mainland Europe. We now have a new 21st century population of beavers, some of which were sourced from Norway (the official trial population in Argyll) and some, we are led to believe, from Germany and possibly Spain (the unofficial population on Tayside). It is inconceivable that the two groups of beavers will not meet in the middle of the country and interbreed, and it may well have happened already. The consequence will be the beginning of an island race which will evolve over the next few thousand years into something else, something almost identical and filling the same ecological niche as beavers do on mainland Europe. 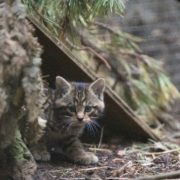 Perhaps the time has come for Scottish conservation thinking to give up on the pure-bred Scottish wildcat for the sake of the wildcat itself. Perhaps the time has come to contemplate a different strategy, abandon the pure-bred impossible dream, and the much-touted captive breeding in zoo conditions, which is not the answer to anything. If you could ask nature whether it would prefer a short-term pure-bred future on the slow and certain road to extinction, or a limitless and Highlands-wide future of endless possibilities, sustained by introduced wildcats from mainland Europe, nature would opt for the latter before telling you what a stupid question you just asked. What do we lose if we bring in European wildcats? 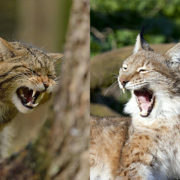 Are we really saying that the European wildcat from the mainland is less wildcat than the Scottish wildcat? Are there biologists out there who believe it’s inferior in some way, and its presence in Scotland will somehow damage Highland ecology, rather than enhance it by enabling the possibility of a viable wildcat population? Permit me to return to that ten-years-old article with which I began. Nothing prepares you for your first sight of your first wildcat. You are forcibly compelled to redefine the possibilities of the very word “cat”. That encounter in Sutherland made me a disciple of the wildcat’s cause. It had its reinforcing counterpart a few years later when I was camping at the foot of Beinn Sgritheall near Gavin Maxwell’s old home at Sandaig. I was perhaps a thousand feet up, just as the sky began to pale, when the mountain screamed. If you can grapple with the idea of a fork of lightning translated into sound, you have an idea of the impact of that scream. I was alone on the mountain, I was high on power of nature to move me beyond reason, I was keeping the company of that turbulent water that sustained the turbulent life of perhaps the greatest of all Scotland’s nature writers, and then the mountain screamed. And then it screamed again. Four times that sound split the sky. And my mind was incapable of accommodating a single coherent thought for an hour afterwards. Such is the power of our wildcat that it can move the heart of a susceptible mortal, and sustain a sense of the worth of wildness there, so that a handful of encounters in a lifetime (and that is all that most of us who travel wild Scotland can ever hope for) will stay with us undiminished by time, and convince us of just how crucial the Scottish wildcat is as a wilderness presence. But what matters much more is the repayment of the debt that we owe as a species to nature, because nature matters firstly for its own sake rather than what we may get out of it. There is no more persuasive ambassador of that essential truth than the wildcat. It stands on a knife-edge between extinction and a future, and our species alone is responsible for its plight. In ten years time, I would like to think I have a more optimistic story to tell. 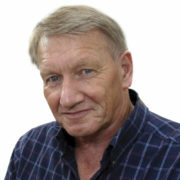 You can read more of Jim Crumley’s Scottish wildlife columns online here, and each month in The Scots Magazine.